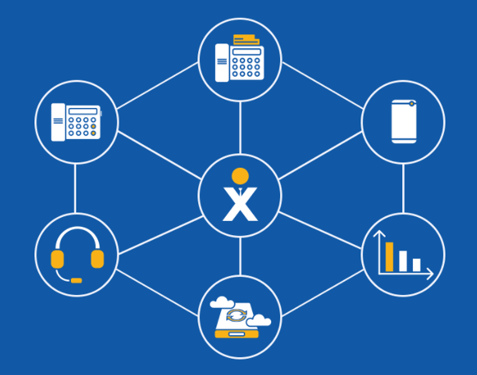 Nextiva is transforming the way businesses operate, helping you grow and profit from the best cloud-based business VoIP services. The mobility and flexibility you experience with our cloud-based business VoIP services let you serve your customers better. You'll see from the start that we care about your business as much as you do. We call it Amazing Service®. 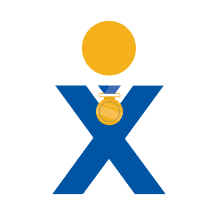 Why is Nextiva an award-winning business VoIP provider? As one of the nation's largest VoIP providers, Nextiva has been delivering Amazing Service® to businesses of all sizes since 2006. We take great pride in providing the highest quality business phone systems for any type of business. From small business phone systems to large call center services, our hosted PBX and SIP Trunking can save your business 60% on phone system and service costs. Business VoIP by Nextiva saves you money on your hosted business phone service. With customers often experiencing savings of up to 65% from their prior business VoIP service. Our world-class unified communications platform was developed by over 1,500 engineers. It supports 18 of the 25 leading global telecommunications providers including SwissCom, Korea Telecom, SingTel, and Telstra. There's something for everyone. Our business VoIP features are designed to benefit all industries including legal practices, construction, hospitality, consulting firms, real estate, insurance, higher education, healthcare, the auto industry and more! The continuous innovations to our VoIP service and NextOS platform helps ensure that your business will always have the latest and greatest in business VoIP technology and phone systems. We are committed to Amazing Service® at all levels of our company and at every point of contact with yours. We love SIP. There's no need to purchase your phones from us, although you can if you'd like to replace your current business phone system. Nextiva works with nearly any unlocked SIP phone to easily set up your service on our VoIP platform. You'll experience a noticeable improvement in voice quality with our high-definition business VoIP phones. It's 2017 - your business phone calls should be in HD. Experience dozens of office features with our phones that you may not have known were possible! Never miss a call again, get a wide variety of voicemail options, coordinate your business phone messages with Microsoft Outlook and even set up a conference call. Our business VoIP phones are so easy to set up, you'll be up and running within minutes - especially with the help of our Arizona-based customer service team that's committed to providing your business with Amazing Service®! Our customers know what they're paying for. No contracts required, no hidden fees. You can cancel your service at any time, hassle free. With minimal upfront cost and our affordable rates, what are you waiting for? Sign up today for our weekly newsletter that contains the latest product news and exclusive promotions for our customers. CloudPhoneWorks.com is a division of Virtual Graffiti Inc, an authorized Nextiva reseller. Copyright © 2000 - . All Rights Reserved.